Removes up to 224 pints (28 gal) of moisture per day at optimal humidity & temperature. Operating temperature range is 33d to 100d. Plugs into standard household outlet, requires 8 amps/120 volts. Internal pump automatically purges water for longer unattended drying periods. Has a 40' drain tube. Unit is 24" x 24" x 41" tall. 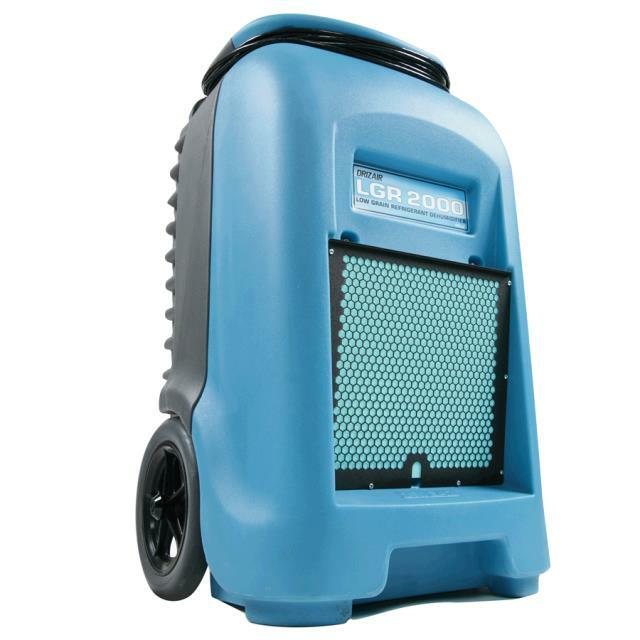 * Please call us with any questions about our dehumidifier 224 pint large rentals in Oak Grove MO, Blue Springs MO, Independence MO, Lexington MO, Odessa MO, Independence MO and Western Missouri.